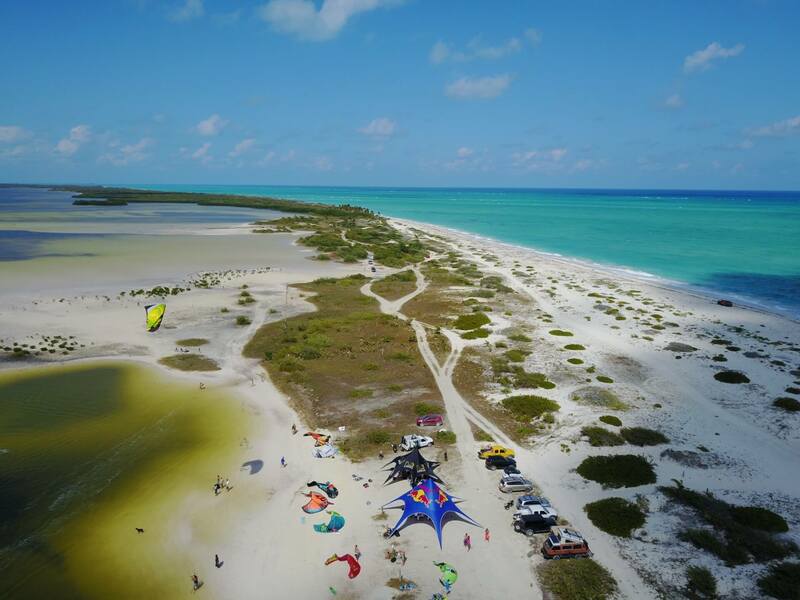 The first kiteboarding shop and school in Mexico. Based in Cancun, Isla Blanca and Playa del Carmen. 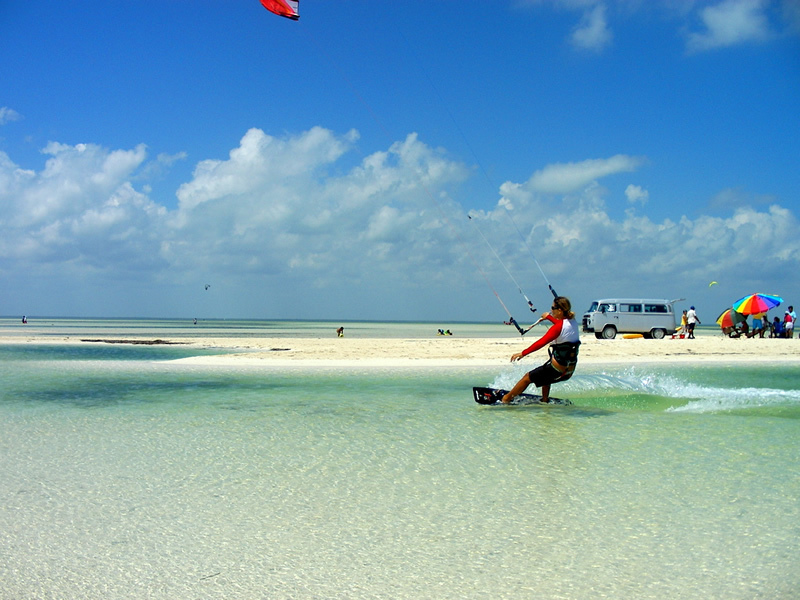 The best place to learn kitesurf in the Yucatan Peninsula! and one of the best kiteboarding spots on this planet. Flat and shallow water, professional instruction, special gear designed to learn/teach, watercraft support. 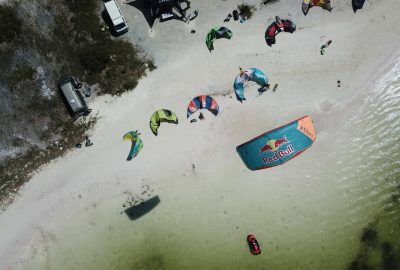 First kiteboarding school in the Riviera Maya since 2002, 15 years of experience. We are specialized on teaching to children. We can teach all ages between 10 and 99 years, and all level from beginner to expert. Family packages are available, ask for quotation. And soon in our new guest house just next door. or camping in a tent. KITEBOARDING SHOP AND KITESURFING SCHOOL. 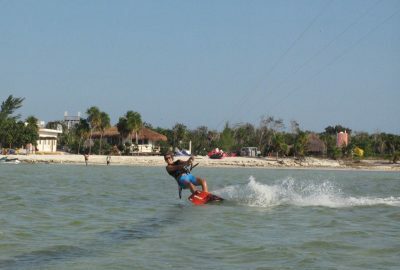 Kiteboarding is a sport that now can be learned in a very easy and safe way. 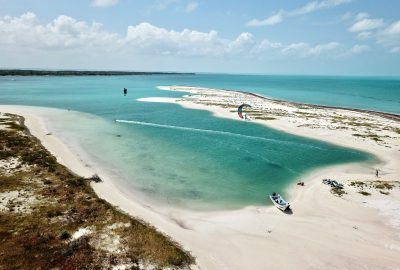 With professional instruction , new equipments and one of the best beginner spots in the world as Isla Blanca you can became a kiteboarder in 3 days. If you have any questions, we'd be happy to help.